With more than 33 years’ experience in Problem Solving & Powerful Advocacy, our firm is respected for its Honest Advice, Creative Solutions and Effective Advocacy. • Legal Ability: our expertise, the nature of our practice and our specialized qualifications. • Standards of Conduct: our adherence to ethics, reliability, diligence and standards of professional conduct. We promise to work in partnership with each client to address the specific concerns and legal matters involved. While we cannot guarantee particular results, we will guarantee our True Professional effort to satisfy each client. If any client informs us of a concern with our service as soon as it arises, we promise to address the matter immediately, make every effort to resolve it to the client’s satisfaction and to provide service to the client’s satisfaction in the future. David C. Sarnacki is a top-rated attorney and mediator in Grand Rapids, Michigan. Best Lawyers in America recognized Mr. Sarnacki as a 2019 Lawyer of the Year for his work in Collaborative Law: Family Law and has regularly honored him for his work in Collaborative Divorce, Family Law and Family Law Mediation. 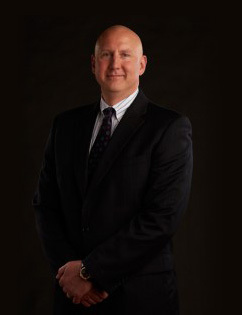 Trained as a trial attorney, mediator and collaborative divorce attorney, Mr. Sarnacki has served on the faculties of the National Institute of Trial Advocacy/Hofstra University School of Law, United States Attorney General's Advocacy Institute, Davenport University, and the Institute of Continuing Legal Education. He has been selected as one of the Best Lawyers in America (top 2.4% in country), designated a Michigan Super Lawyer (top 5%), accepted as a Fellow in Michigan State Bar Foundation (limited to 5% of Michigan attorneys), awarded Martindale-Hubbell’s AV Rating (top 11% in nation) and cited as an authority by United States Supreme Court. If David Sarnacki and the Sarnacki Law Firm can be of assistance to you, contact us today. David Sarnacki is an experienced advocate, mediator, arbitrator and case evaluator. He has been hired by other attorneys and appointed by federal and state courts to help resolve cases. Mr. Sarnacki has concentrated his practice on courtroom advocacy and dispute resolution across a broad spectrum of matters, large and small, including discretely handling high-conflict custody matters and high-income, high-asset divorce matters. He is committed to creative and effective alternative dispute resolution to help you during this difficult time.